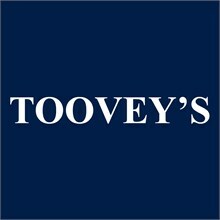 Toovey’s was established with the express aim to create a regional centre of excellence for the valuation and sale by auction of antiques, collectors’ items and fine art in the south-east of England, combining an international standard of expertise and marketing with the efficiency and flexibility that only a provincial auction house can offer. As a family-owned and family-run firm, our independence enables us to provide a personal service, tailor-made for both private and professional clients’ needs, with a view to building successful, long-term business relationships. We look forward to meeting you to discuss your needs at your property or at our Sussex auction house and are confident that you will find Toovey’s a professional and highly approachable practice. Please do not hesitate to contact us if you feel we can be of further assistance.